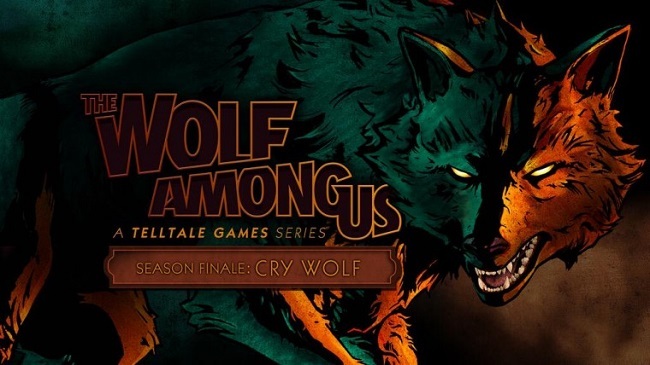 The climactic close to season one of The Wolf Among Us is upon us with “Cry Wolf”. 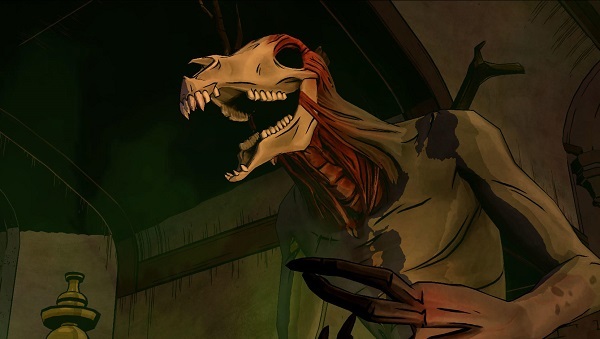 Telltale hope to wrap up the gruesome goings-on in Fabletown with this episode. We pick up the action literally as we left off from episode 4. Sherriff Bigby Wolf is face to face with the Crooked Man and his array of cronies. From this tense altercation at the start of the episode things only escalate from there. Bigby gets straight to the matter at hand – but has he finally brought the killer or killers to justice? Pretty much all pretence of an adventure game is thrown out here. You literally follow a narrative moving from harrowing scene to harrowing scene making one gut wrenching decision after another. By the time the credits roll (about 1:20 – 1:30 minutes) you have a wave of different emotions to deal with. You’re served up some satisfying answers to some long standing mysteries which help bring the storyline full circle. The game, such as it is, boils down to quick time events and dialogue selections and that’s pretty much it. As mentioned there is no real adventuring here or puzzles to solve. The depth and action comes from the incredibly tense action sequences. Giving credit where it is due here, I have long moaned about the use of action by Telltale in both The Wolf Among Us and The Walking Dead. This time they seem to have got it pretty much bang-on. The action is tense and fraught but a large enough “window” is offered that you can locate the correct action and perform it without fear of an unfair slippage causing you to replay another tedious action sequence. A particular showdown with a long standing nemesis is more than gratifying thanks to this honing of the action elements. The depth comes courtesy of a series full of rich characters and elaborate story telling. The story and sub plots woven through the past years’ worth of instalments serves as rich detail in the back of your mind. These previous interactions, every nuanced conversation or carefully chosen alliance, is all brought in to play as the final chapter plays out. Making decisions on who to pursue and what questions to ask. Who to alliance with and how the other characters react to you as the final lengthy scene unfolds. All these things will be informed by your previous thoughts and feelings through the game. Should you side with Bluebeard because he makes the most sense? Yet that would upset Snow so should we keep her on side? All of these decisions will be, to some extent, unique to you and your play through. How you dealt with Woody or whether you lied for Beauty. All these small things will play a small part throughout. Once again the visuals are wonderful and rich, although this time we are limited to the most part to some uninspiring locations. That said the characters are never short of amazingly well portrayed and the game animates well as ever. Scripting is solid, as it would need to be as the game is 90% pure script/dialogue this time out. Voice work again is something of great note as is the every blossoming musical accompaniment. The Wolf Among Us: Cry Wolf is not without fault it has to be said. At little over an hour and twenty minutes some will feel more than a little cheated by the content on offer. How this affects you as a gamer will inform if this will be an issue worth troubling yourself about. Personally I’d rather have 30 minutes of pure genius than 5 hours of OK. Despite the carefully crafted nature of the build up some elements feel a little shoehorned in to serve the story rather than that of a natural progression. This can feel a little “aw come on” at times but again you’ll need to be the judge of if that takes away any enjoyment for you. We also don’t get a whole lot of Snow this time around and so many things seem unanswered between her and Bigby that it feels a little artificial in construct – which of course it is for any potential Season 2! The Wolf Among Us has been a season of inconsistencies. The promise of that first episode seems to have never been fulfilled. So much potential seems to have gone untapped that it makes you feel a little quizzical come credits end. 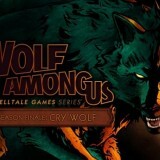 Overall Cry Wolf is probably the strongest entry in the season since episode one and does justice to the franchise. 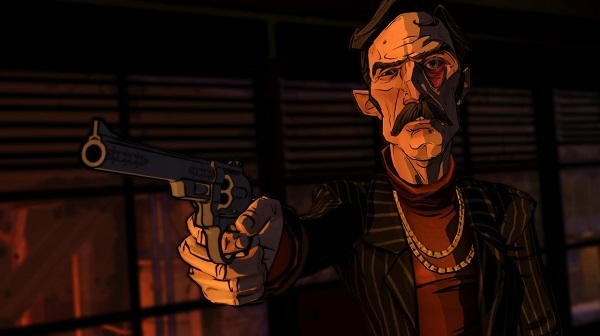 Telltale manage to craft a title that is more about the intricate decisions you make and allow you to embody that character possible more than most previous titles have managed.